Add a touch of vintage glamour to your look with these gorgeous earrings that form part of Swarovski's iconic Attract Collection. 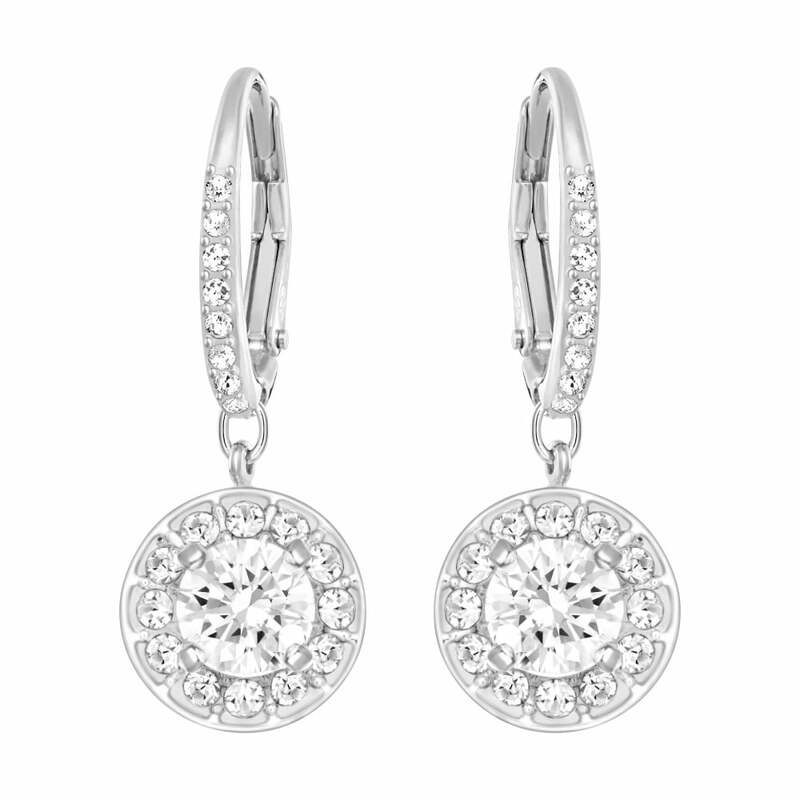 The heavenly earrings feature a round pendant surrounded by a halo of clear crystal pave. The earrings feature a French clasp, encrusted in clear crystal pave, which adds a touch of chic. These elegant earrings are perfectly at home, day or night, whenever, wherever you choose to wear them.